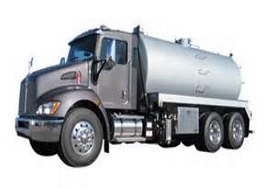 GWA is now accepting hauled grease trap waste (FOG) and other high strength liquid waste for resource recovery . GWA will process these materials to convert them to energy, thereby offering you and your clients an environmentally sustainable disposal method for these wastes. If you are interested in discharging at GWA, please fill out the permit application. There is no charge for this permit. Current tipping fees are $.05 per gallon. Deliveries are accepted from 7:00 AM – 4:00 PM Monday through Friday. For more information, please contact Laurie Frieders, the Environmental Resources Coordinator, at lfrieders@gbww.org or 630-790-1901 Ext.142.